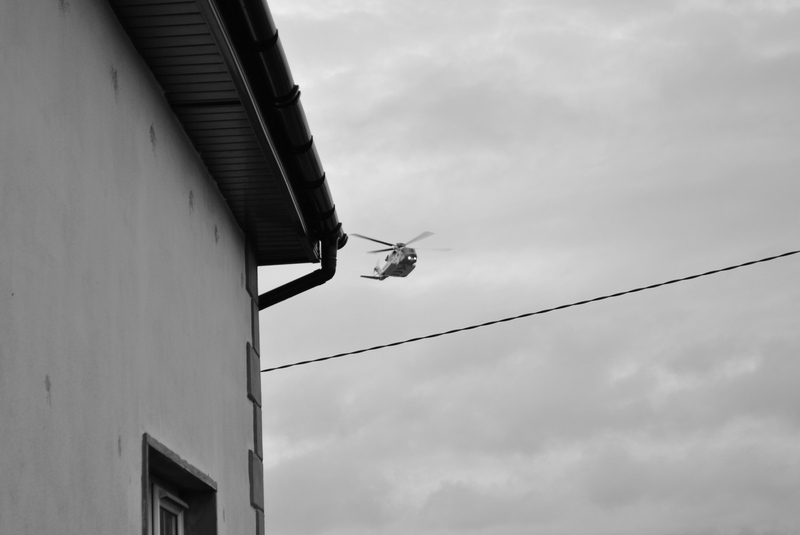 I was out in the kitchen yesterday afternoon, when I noticed the distinct thunderous sound of the rescue helicopter. I won’t lie, I normally dread this particular sound, as unless it passes over it means only one thing – somebody has been hurt, is ill or is missing. Almost without fail, I would go outside and follow it across the sky to reassure myself that it was not landing over at the strip, and when it doesn’t land and heads towards Clare, I exhale and take myself inside for a cup of tea. I went to the window and saw it – it was low, its lights were on and it was heading directly towards my house. I picked up Eims and took her outside to look at it, as it had now stopped midair and was hovering just past the gable end of the house. I thought it must be doing training, as often happens when the 4.30 boat leaves for Galway. I even took a couple of pictures of it, as it is rarely that close. But then I noticed that it was past half four, it was heading towards five. What was it doing? Then I received the message. Someone was missing since the morning. Everything sort of stopped. Because this person was someone that I’d see passing a hundred times a day. Someone who was one of the first people I met when I first came here. Someone that all you’d have to do was pick up the phone and he would be there to help. As someone so eloquently put this morning, he belonged to everyone. He belonged to Inis Oirr. And it was as if she knew he was missing. The rescue helicopter continued to search around the island’s waters, while the selfless rescue and coastguard groups set off in haste. Traffic flew past along the road out to where his van was. 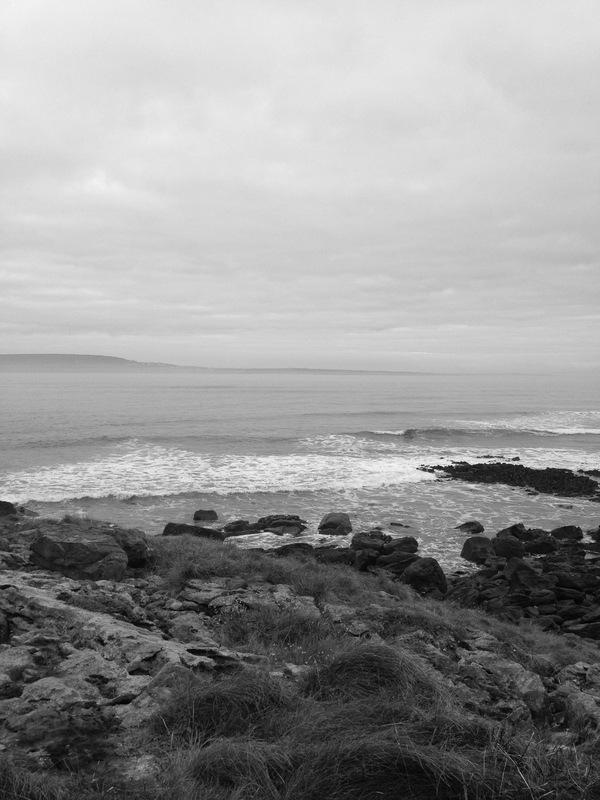 It was as if Inis Oirr sent out her long fingers into the rough waters further and further relentlessly searching for the man that belonged to her and to the community. And as it started to darken, and winds started to howl, she found him. 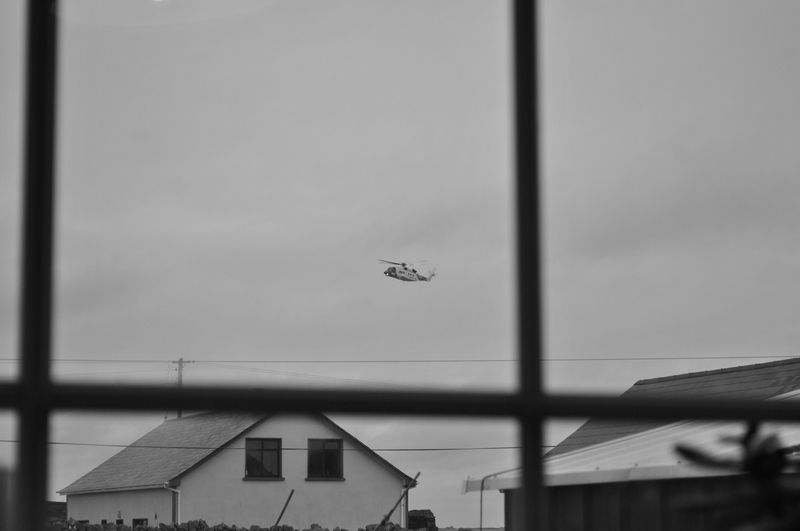 I stood at a wall nearby watching as the lifeboat returned to the pier. And while a deep impossible unexplainable sadness descended onto the island last night, there may have been just the smallest bit of comfort in the fact that although he may be gone, he was not lost. She returned him home. Poor, Jack. I remember him well, even though I hadn’t seen him in 8 years or so. I was hoping to see him this summer if I could get away from Kerry….so sorry for his mother and friends up there. Jack was always great craic. RIP.jack! !condolences to all his family and friends.and all the islanders…A nice fellow!! !and well liked. Beautiful and eloquent words befitting a gentleman. My wife and I have only meet Jack for such a short time while visiting our daughter and son-in-law on the island. He made our stay a very comfortable stay and and loved his joking around with us. He made us feel like we have known him for ever and will miss his little smile. Jack will always be in our prayers and so will his family. RIP. Jack. Your friend , Gary. Píosa deas scríbhneoireacht – cara caillte againn.